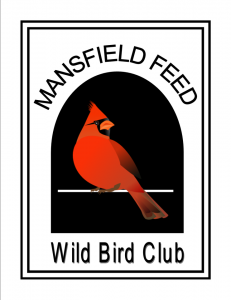 Join Mansfield Feed’s Wild Bird Club! If you can’t tell by our friendly bird display on the front of the store and our feathered friend, Moe, greeting every customer, we are a big fan of birds! Show off your wild bird and submit a photo below and you’re bird could be chosen as the wild bird of the month! Each wild bird of the month will win a FREE bag of bird seed and will be spotlighted in our 2013-14 Wild Bird Club calendar!